Work is inextricably intertwined with our lives. Temporary employment enables us to work when and where we like. In recent years, digital evolution has intensely improved our quality of life, and changed our expectations of brands and products considerably. Being an expert and a driving force in the employment market, Randstad has been bringing people and organizations together for decades. The backbone of its leading position? Its innovative view on employment. The basis of a good User Experience? Matching user needs, context, patterns and particularities. In order to determine the focus and structure of the Ploy app, we dove into the horeca industry. Many interviews and observations later we mixed user journeys with Randstad's elaborate experience in temporary employment. Co-creation with our clients and it's users, that's the key. 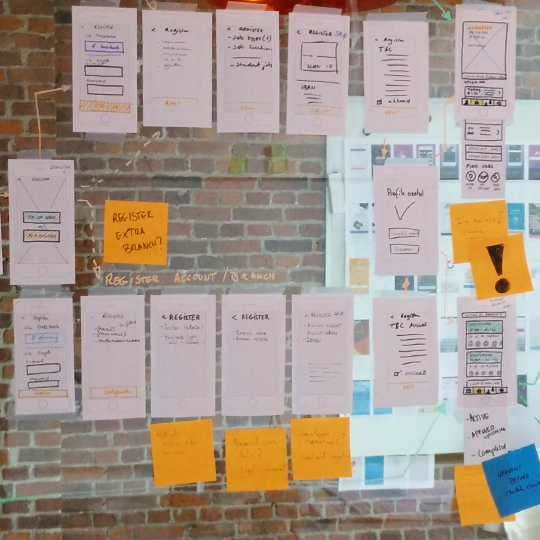 As UX designers, we point them in the right direction: we embrace their input and bring it to life through sketches, wireframes and functional interactions. Weekly meetings with our development Cronos colleagues from Xplore Group made sure we kept a tight schedule. Design is more than a layer of paint. 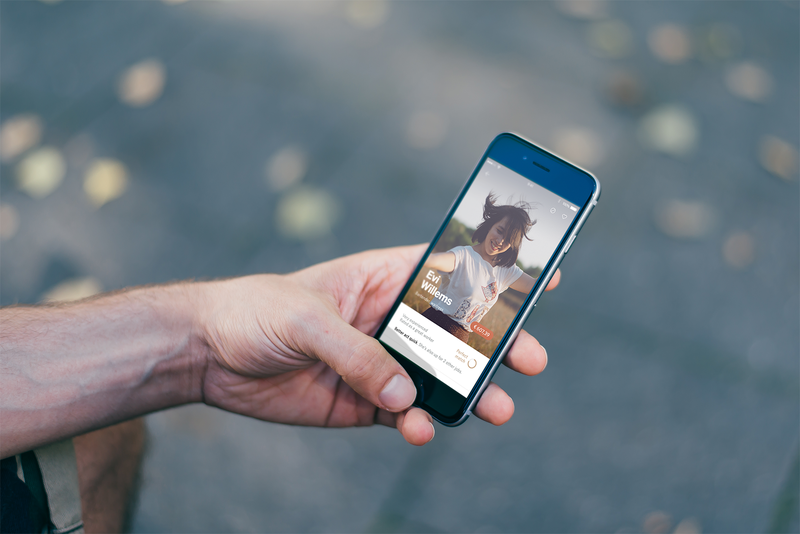 It's about emotions, about connecting users and brands. As a User Experience expert, appealing to the visual needs of the users we already got to know so well, is one of our strengths. A great experience throughout the entire journey, that's what we strive for. 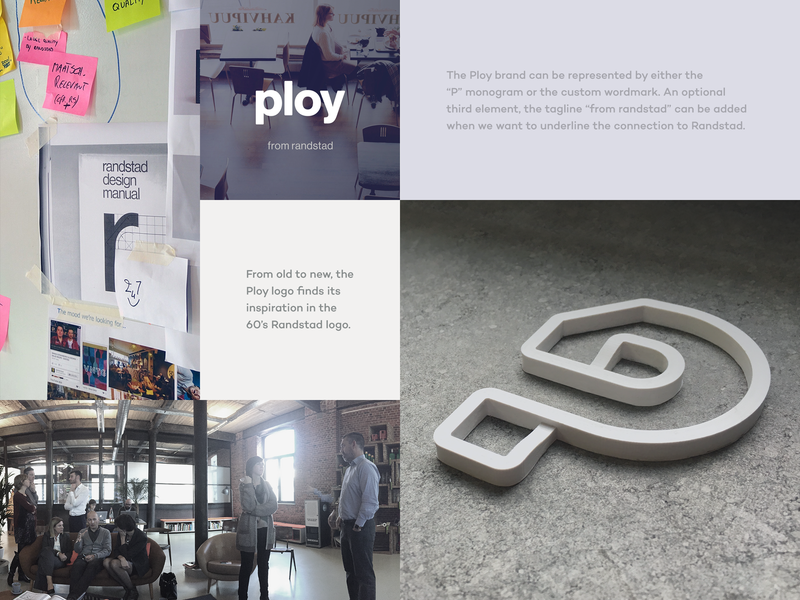 Ploy's campaign is a collaboration between Monkeyshot and the &KOO network. 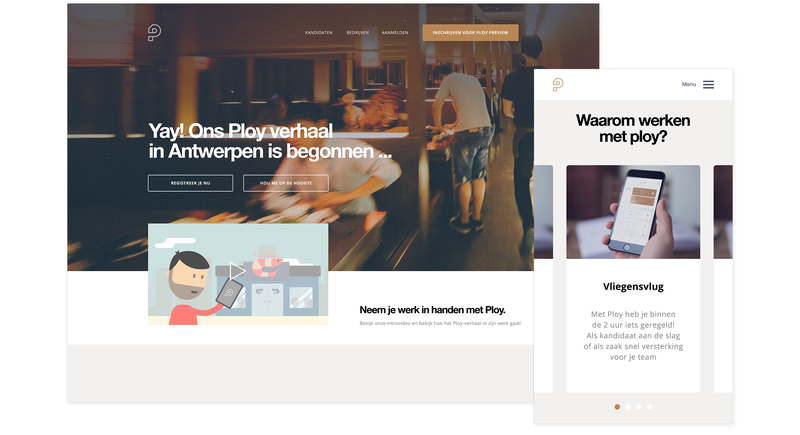 We took care of the responsive campaign website and the flow, so candidates and companies were able to log in and participate in the Ploy preview in Antwerp. When you walk in on the first day of your new job, the real life experience mirrors the digital profile that convinced you in the first place. You know you will join a fine team. You know that your new workforce shares your moral convictions. You'll find us in a stunning 19th century tea and tobacco warehouse, called House of Innovation, located in a rapidly developing neighbourhood of Antwerp, one of the design capitals of the world. We're within walking distance from the city centre and you can easily reach us by car, bike or public transportation.